In DeHeart’s second season as the Associate Head Coach, he continued to help the Seminoles improve. Florida State earned 10 more wins than the previous year en route to a 28-5 record. For the second straight season, the Garnet and Gold had the same three student-athletes named to the All-ACC team, Aziz Dougaz (first team), Guy Iradukunda (second team) and Lucas Poullain (third team). These three also qualified for the NCAA Singles Championship, making it the first time Florida State had three to do so. Due to his achievements in 2018 DeHeart was named the ITA Southeast Region Coach of the year. 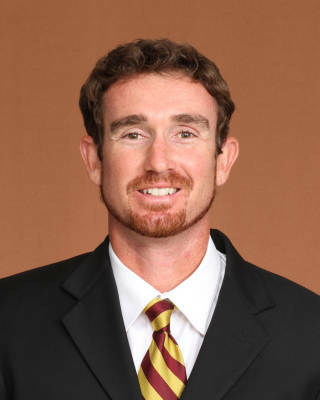 In his first season at Florida State, Ryler DeHeart, a five-year ATP professional and four-year assistant at the University of Alabama, brought a wealth of collegiate and professional experience to Tallahassee and the results were immediate as the Seminoles won 18 matches en route to the program’s 15th-consecutive NCAA Championship appearance. Under DeHeart’s tutelage, three Seminoles were named All-ACC for the first time in their careers as Aziz Dougaz (first team), Guy Iradukunda (second team) and Lucas Poullain (third team) were all recognized for outstanding play. In the fall, Iradukunda also captured the ITA Southeast Regional Championship, just the second Seminole to do so. Dougaz also participated in his first career NCAA Singles Championship after leading the team at the top of the lineup all season. During his time at Alabama (2013-16), DeHeart helped lead the Crimson Tide to the NCAA Tournament his first year and coached four All-Americans during his tenure, including the No. 6 doubles team of Korey Lovett and Mazen Osama last season. DeHeart played four years collegiately at the University of Illinois, helping lead the Illini to an NCAA Championship as a freshman in 2003. A two-time All-American, he continues to hold the all-time singles wins record for the Illini, with 138, and is second and fourth on the single-season wins list with 42 in 2005 and 39 in 2006. Graduating with a degree in psychology with a pre-med focus, DeHeart won the ITA Indoor Championship in 2005 and 2006 and was ranked No. 1 in the country in each of those seasons. DeHeart was also named the 2006 ITA Midwest Region Player of the Year, the 2005 and 2006 Big Ten Player of the Year, and was a three-time All-Big Ten selection. After playing at Illinois, the Kauai, Hawai’i, native played professionally for five years, including an appearance in each of the four Grand Slams. He reached a career-high ranking of 174 in singles and 120 in doubles and faced the top-ranked player in the world, Rafael Nadal, in the second round of the 2008 US Open. DeHeart and his wife, Megan, founded the RD Tennis high performance program in Tampa before his stint with the Crimson Tide. The pair has one daughter, Lily, and one son, Jonathan Ryler (JR).